“While this work is in its early stages, the compelling evidence of detailed 2D control of liquid metals excites us to explore more potential applications in computer graphics, smart electronics, soft robotics and flexible displays. 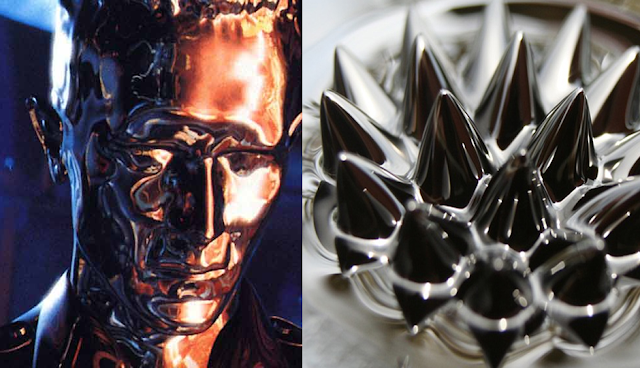 The electric fields used to shape the liquid are created by a computer, meaning that the position and shape of the liquid metal can be programmed and controlled dynamically. Professor Sriram Subramanian, head of the INTERACT Lab at the University of Sussex, said: “Liquid metals are an extremely promising class of materials for deformable applications; their unique properties include voltage-controlled surface tension, high liquid-state conductivity and liquid-solid phase transition at room temperature.